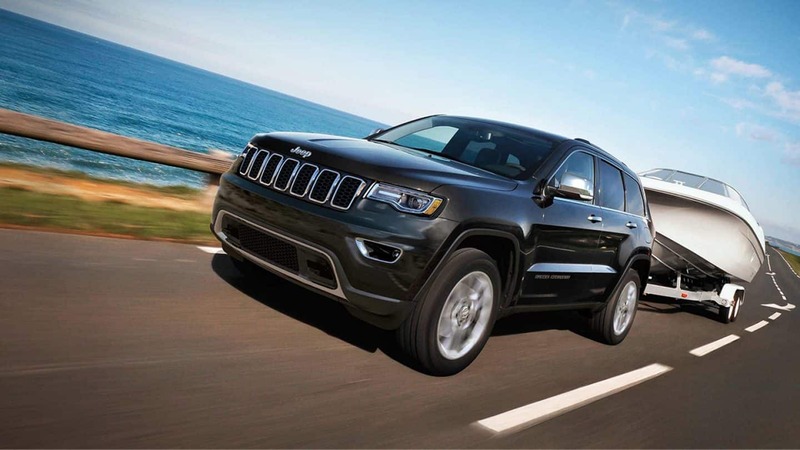 The Grand Cherokee is one of the most recognizable and iconic vehicles on the market today! 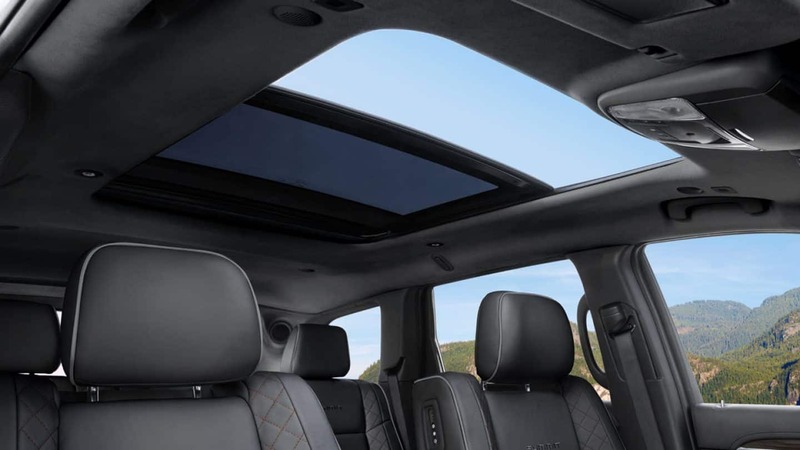 Offering a luxurious ride for five passengers, this SUV can take on the trails, the track, and the highway with ease thanks to an expansive and robust model lineup. This SUV further impresses with the engine lineup which suits those that have a need for speed, those that are looking to tow big loads up to the cabin, and those that are in search of good SUV fuel economy! The Grand Cherokee is coming to the 2019 model year hot with new standard safety features and so much more. Keep reading the rest of our review of the 2019 Jeep Grand Cherokee to learn more! Can you tell me about the features available? 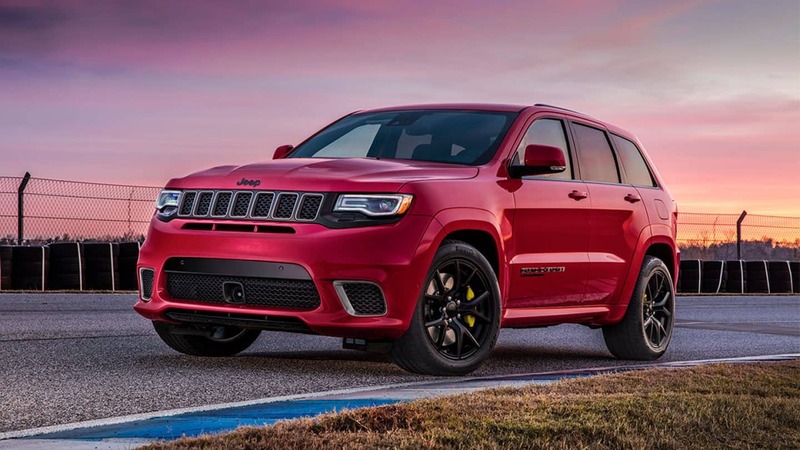 Jeep offers this SUV in seven trim levels for the 2019 model year -- they range from the base Laredo to the speed-demon known as the Trackhawk. There are so many standard features to count you won't be able to keep up! They include rear parking sensors, a rearview camera, a 7-inch central touchscreen, Apple CarPlay and Android Auto, dual-zone automatic climate control, 17-inch wheels, a six-speaker sound system, keyless entry and ignition, and so much more! As you climb to the higher trim levels you'll find features like remote engine start, larger wheels, power-adjustable seats, leather upholstery, a self-parking system, noise-reducing glass, premium sound systems, and more along the way. 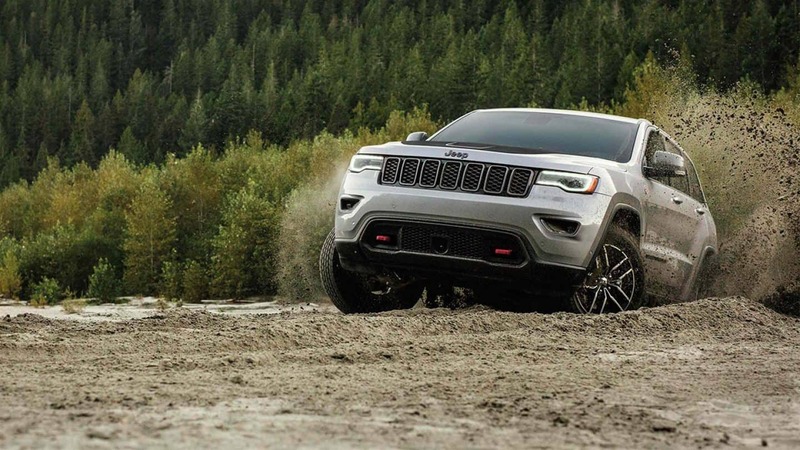 The Trailhawk model is all about off-roading so it comes with more advanced and capable features while the SRT and Trackhawk trims take on more sophisticated speed-related features for a good time! What kind of engine options does this SUV offer? There are four engine options available for the 2019 Grand Cherokee. The first, the award-winning Pentastar, is a 3.6L V6 that pumps out 295 hp and 260 lb-ft of torque. This engine can be outfitted with standard rear-wheel drive and the available four-wheel drive configuration. Up next we have the available 5.7L V8. This is only outfitted with one of the 4WD systems and creates 360 hp and 390 lb-ft of torque. Pumping up the power is the 6.4L V8 which if only found under the hood of the SRT models. This engine delivers 475 hp and 470 lb-ft of torque to ensure a good time is had by all passengers. The most powerful engine in the lineup is the supercharged 6.2L V8, found under the hood of the Trackhawk models creating 707 hp and 645 lb-ft of torque. All engines are mated to an 8-speed automatic transmission. Plus, there are multiple 4x4 systems available so you are sure to find the one that suits your needs! Does this SUV come outfitted with any safety features? 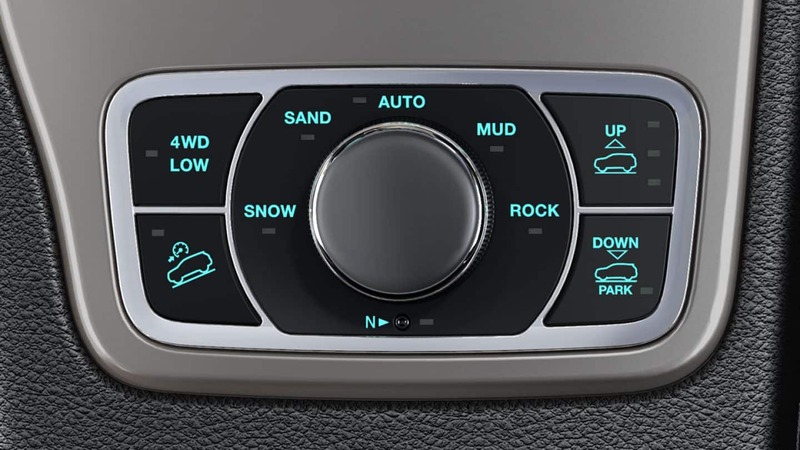 The Grand Cherokee is proud to provide over 70 standard and available safety features for the 2019 model year. The preventative measures start from the very beginning of production as the Grand Cherokee is built with advanced high-strength steel for a rugged frame you can depend on. The brand then installs seven standard airbags throughout the cabin to ensure safety no matter what you come up against. There are so many incredible features available including parking assistance systems, adaptive cruise control with stop, a lane departure warning system, and a forward collision warning system. 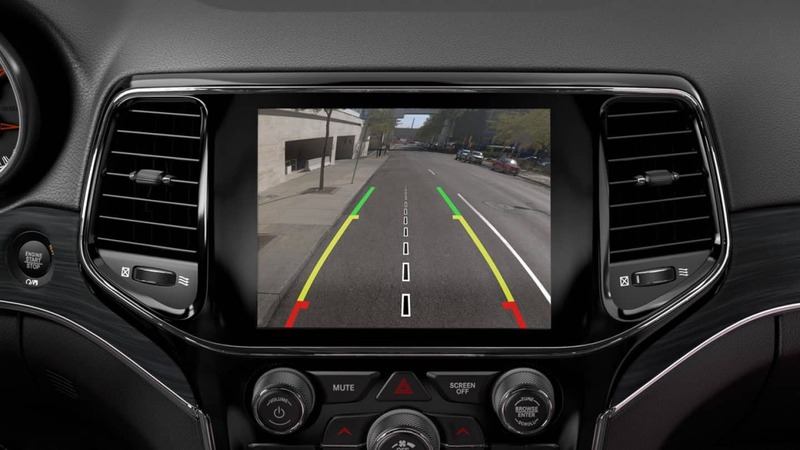 Other features to look out for include the standard rearview camera, blind-spot monitoring feature that will help you change lanes with confidence, and rear cross path detection. 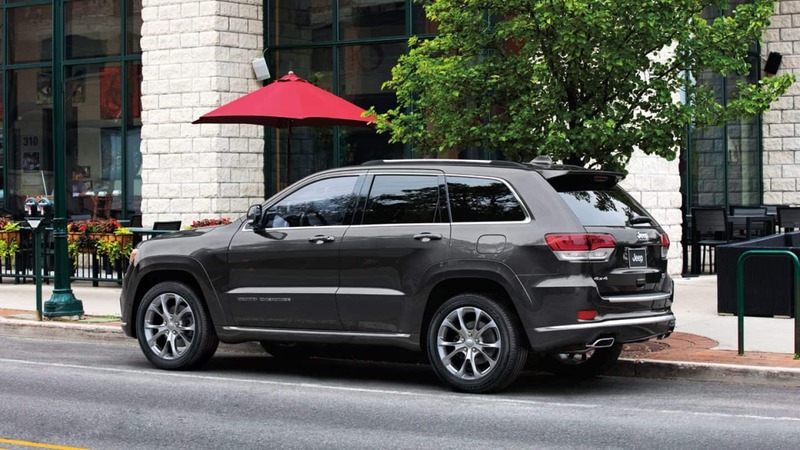 The 2019 Jeep Grand Cherokee is one outstanding SUV that you can depend on ride after ride! Interested in learning more about what this Jeep has to offer or what models we have stock? Reach out to our sales department using the provided contact form below, their direct line ((215) 309-8823) or come visit them in person!